We are pleased to announce that Cureus has been accepted for indexing in PubMed Central® (PMC) (with citations added to PubMed). PMC is a free full-text archive of biomedical and life science journal literature operated by the U.S. National Institutes of Health (NIH). We know how much our authors value PMC indexing. Knowing your published article has been indexed should result in relief and validation that your work will be available for the medical community to discover, read, discuss and cite. Since the start of the year, we’ve published nearly 50 peer-reviewed articles documenting clinical experience and medical research from around the world. All of these articles can now be found in PMC (and their citations in PubMed), and we’re looking forward to the continued expansion of the Cureus library of peer-reviewed literature. 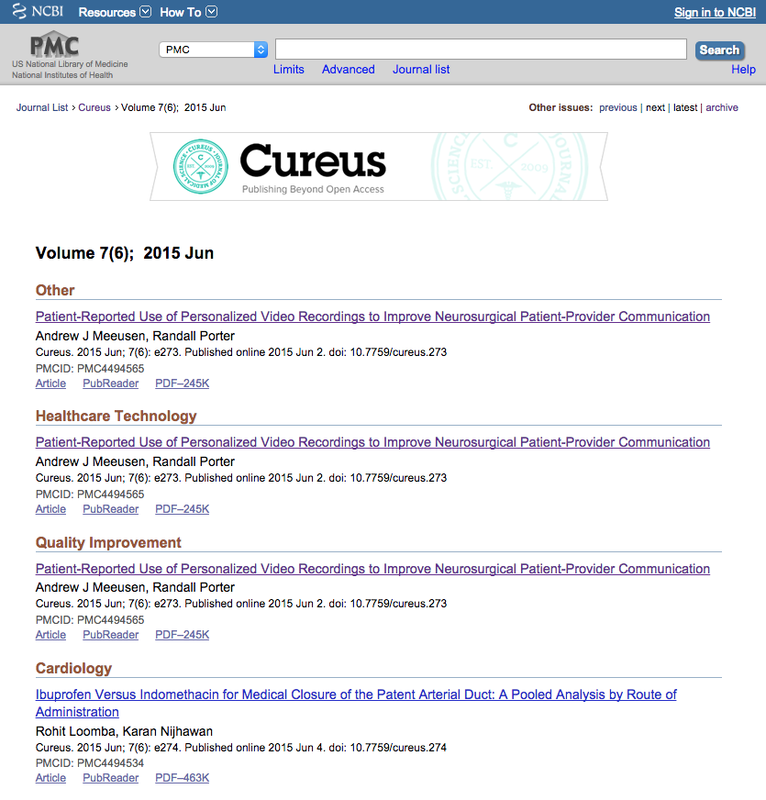 Going forward, all articles published in Cureus will be indexed in PMC within one month of publication. Thank you for your continued support of Cureus. This is a big step for our journal and we’re looking forward to more articles and more readers in the coming months. Please contact us at info@cureus.com with any questions. Note (8/19/15): We’ve recently discovered that although articles published within Cureus are cited within PubMed, this does not constitute formal indexing. This blog post has been updated to reflect this distinction. What about WoS and Scopus – have you applied for it? We’re currently indexed in PMC and Google Scholar, but we’ll certainly consider pursuing indexing in Scopus and WoS if we receive enough requests. Thanks!